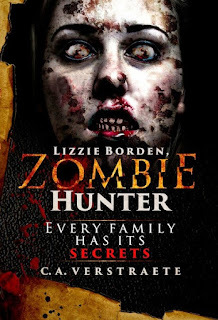 Tried my hand at making a book video for Lizzie Borden, Zombie Hunter. Last week marked a huge change for my family and I. We moved from Wyoming to Nebraska. It was a good move, and we’re settling in fine, but it took a lot of my time and changed my schedule. The weeks leading up to the move were just as busy. However, despite that, I have been making some headway in the writing department. 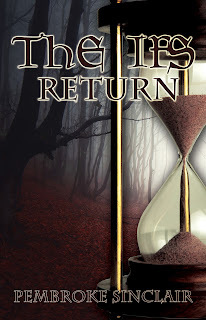 I haven’t created anything new (yet), but I’ve republished my middle grade books, The Ifs and The Ifs Return. They are both now available on Amazon. Landon and Broden are brothers, and some days they DO NOT get along. They spend most of their days fighting, arguing, and plotting ways to get revenge on each other. Then, strange things start happening… Noises in their room that are not from the cat. Homework that is mysteriously finished. A broken shoelace that repairs all by itself. Clothes that are put in the hamper on their own. The brothers want to share their weird experiences, but they don’t know if they can trust each other. But when they find out who’s behind all the strange things around the house, they are called to battle with the most unusual creatures and wildest of beasts. 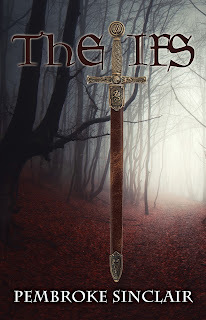 When the battle turns more dangerous than they imagined, Landon and Broden must face their fears, put their grudges aside, and learn how to work together. 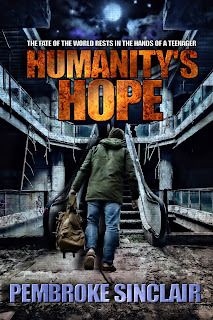 I also received word from the publisher that Humanity’s Hope will be out by the end of July. I don’t have an exact date yet, but I’m expecting one soon. 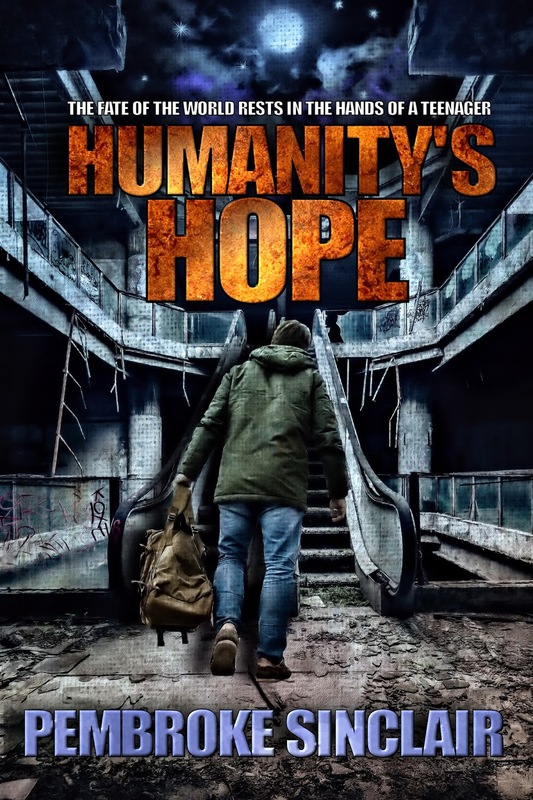 I’m super excited for Humanity’s Hope to be out. 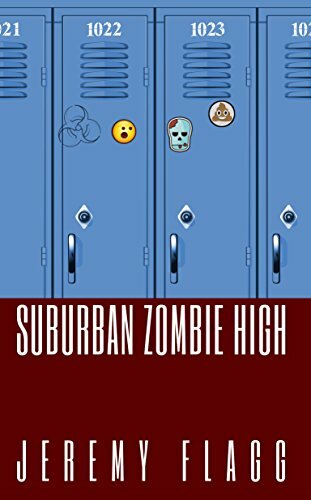 It’s another young adult zombie series, and I’ve been having a lot of fun writing it. The second one is done and with the publisher—no word yet on when anything will happen with that, but that’s ok. The first book is just getting ready to hit the world. I’ll let you know when the book is available. Until then, I’m going to keep unpacking my house and looking for time to write—actually write. Have a great weekend! 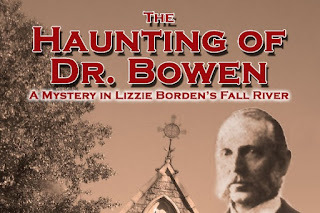 Full speed ahead on my upcoming novella, The Haunting of Dr. Bowen, A Mystery in Lizzie Borden's Fall River! Here's a peek at more of the cover! And the book is in the formatter's hands. 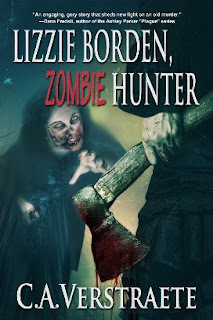 After writing Lizzie Borden, Zombie Hunter, I wondered... how did coming on this horrific scene affect everyone else, including Lizzie's doctor and neighbor? What if Fall River was indeed haunted? As in my Lizzie Borden book, this story also contains quotes from the real-life Borden trial, many of them sharing Dr. Bowen's own testimony. "Why won't anyone believe me? Why, Phoebe, Why?" 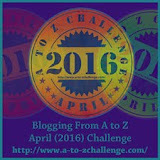 Be sure to check the webpage, too, as I add more details! 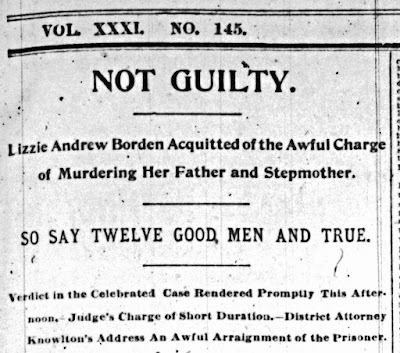 It was this day June 20, 1893 that accused murderess Lizzie Borden was declared not guilty of murdering her father and stepmother. Here's the Providence Evening Bulletin story on that date. Justice? Freedom? Did she get away with murder? Here's my fictional take, based on the real-life events from the murders to the trial and beyond: What if she did it... because she had no other choice? It's Monday, so it's a good time for updates. 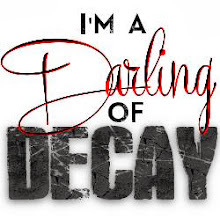 Before you groan and take off, have you signed up for my newsletter? See link on top of website. 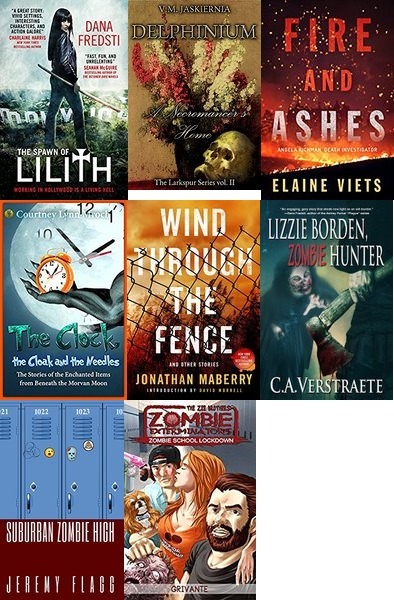 More great books - Great Reads & Deals! Load up those beach bags! Be sure to check the top tab for previous lists! Wow, there's some GREAT books here! 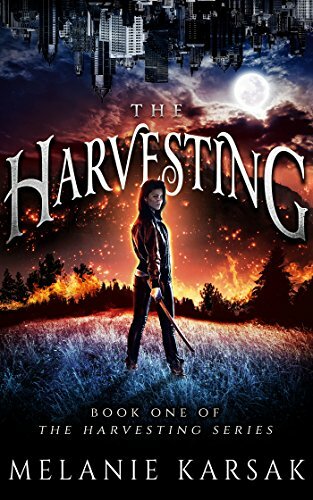 The Harvesting, Harvesting Series Book 1, Melanie Karsak - It's all fun and games - until someone ends up undead. 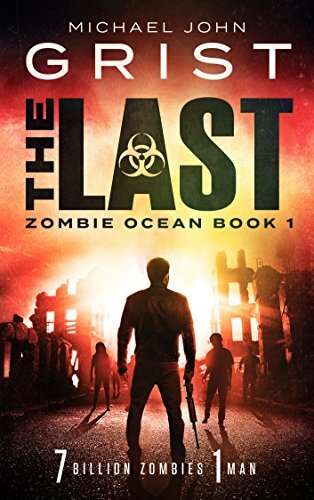 With her psychic powers, Layla believes she'll survive the apocalypse, until a sinister, evil force rises to finish mankind for good. 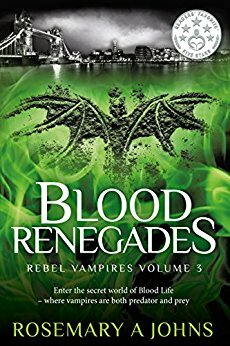 Blood Renegades, (Rebel Vampires Book 3), Rosemary A. Johns - Light lives for his vampire family. Now he may die for it. Light - rebel, lover anti-hero- has been labeled a traitor and terrorist renegade who'll be burned at the stake in a hidden, paranormal London. Soon in a race against time, will he be able to save his family and true love? Can he judge predator from prey? He must make the ultimate choice - hide in the shadows, or walk into the light. 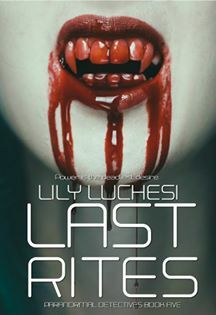 Last Rites, (Paranormal Detectives Series, Book 5) Lily Luchesi - Power is the deadliest desire. With the Lieutenant of Hell put to rest, Danny and Angelica want to take a well deserved break from hunting. But when bodies start piling up with a connection to Angelica, they must find the perp before more people are killed. 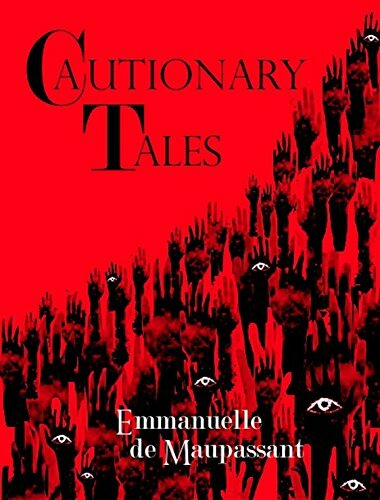 Cautionary Tales: Voices from the Edges, Emmanuelle de Maupassant - Twelve tales, darkly delicious imaginings for the adult connoisseur of bedtime stories, inspired by Eastern European and Russian superstitions and folklore. ** COMING SOON! 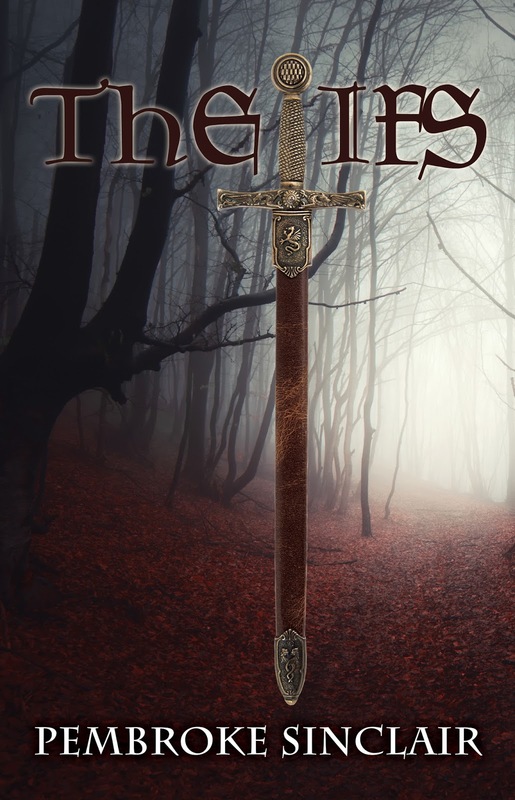 I have a new novella coming out! See new webpage for details! 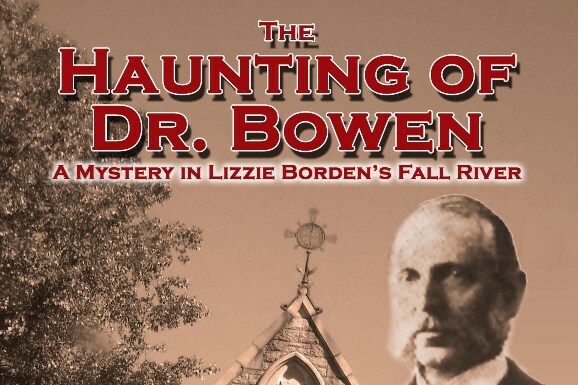 THE HAUNTING OF DR. BOWEN, A Mystery in Lizzie Borden's Fall River, offers another glimpse into the aftermath of the Borden murders - and reveals the secrets of Fall River from the viewpoint of Lizzie's doctor and neighbor! 2017 marks the 125th anniversary of the Borden murders. New 2nd edition and new cover! Readers shared their favorites in the Liz's Book Club 2017 edition in the Kenosha News - and Lizzie Borden, Zombie Hunter is included! (see paragraph 8) Yay! 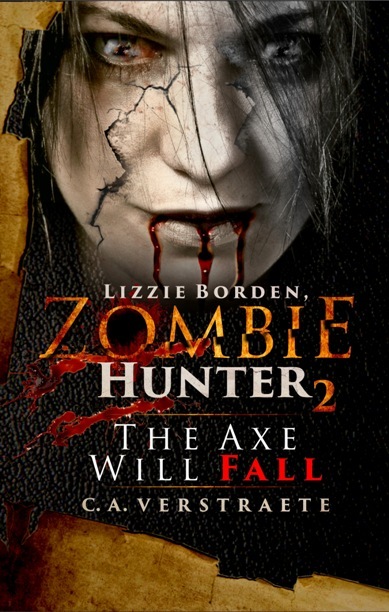 (Also included in Liz's 2018 book club, with sequel mentioned, Lizzie Borden, Zombie Hunter 2: The Axe Will Fall - see website. 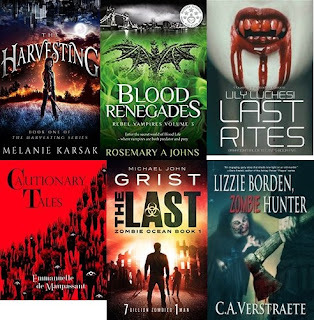 L. Stever recommends “Lizzie Borden, Zombie Hunter,” a book by local writer (and Kenosha News correspondent) Christine Verstraete. 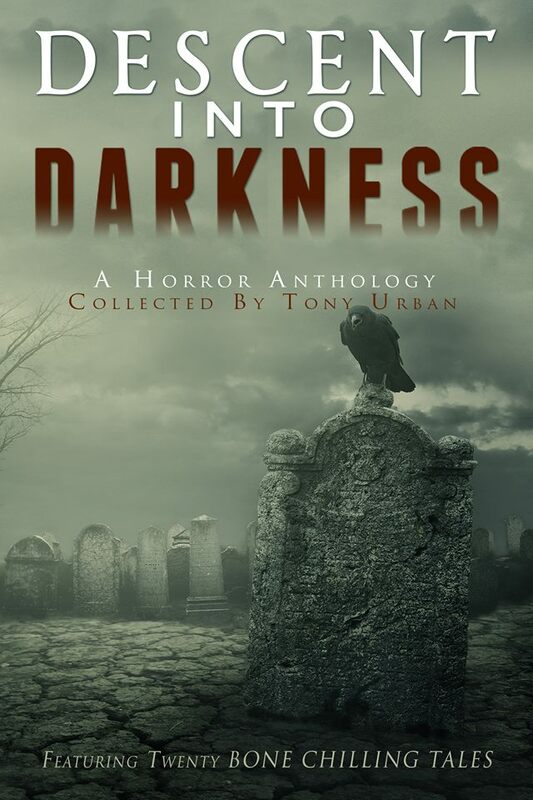 * New 2nd edition & a new cover! Be sure to check the top tab for previous lists! 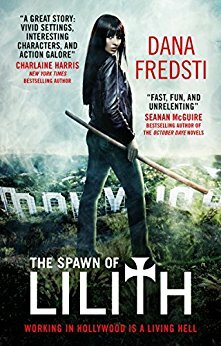 The Spawn of Lilith , Dana Fredsti - In la-la land, it pays not to be human. Vampires, succubae, trolls, elementals, goblins—studios hire anyone and anything that can take direction, be discreet, and not eat the extras. Human stuntwoman and struggling actress Lee Striga is a member of the legendary Katz Stunt Crew. They’re the best – and boast superhuman strength. Now it’s up to Lee to figure out who—or what—is killing the cast and crew on her new job. Especially when she goes from stuntwoman to lead role... and the next target. 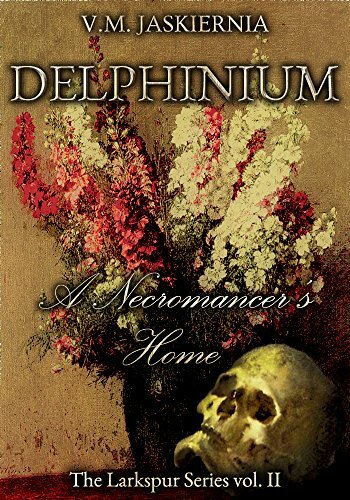 Delphinium, Or A Necromancer's Home (Larkspur series vol. 2), V. M. Jaskiernia - Fairies, disease and the fairies return. Pierre Salvador and his beloved, Elizabeth Anne, travel to his childhood home for the summer. They intend to spend some time alone together before he becomes the ruling duc (perhaps with her at his side). 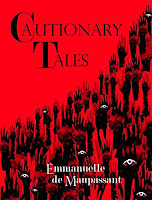 But Pierre finds himself set to inherit a mistrusting people with an uneasy history, and duties cannot be put off any longer. A fatal illness is spreading, he is being claimed by the fée, and someone has already tried to take his life. Though, with his being a Lord of Death, it will take much more to kill him. 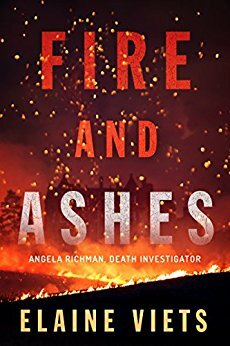 Fire and Ashes, (Death Investigator Angela Richman Book 2), Elaine Viets - A 70-year-old womanizing financier is killed when his mansion goes up in flames, and residents of the exclusive gated community blame the outsider, the victim's 20-year-old Mexican girlfriend, for the death. 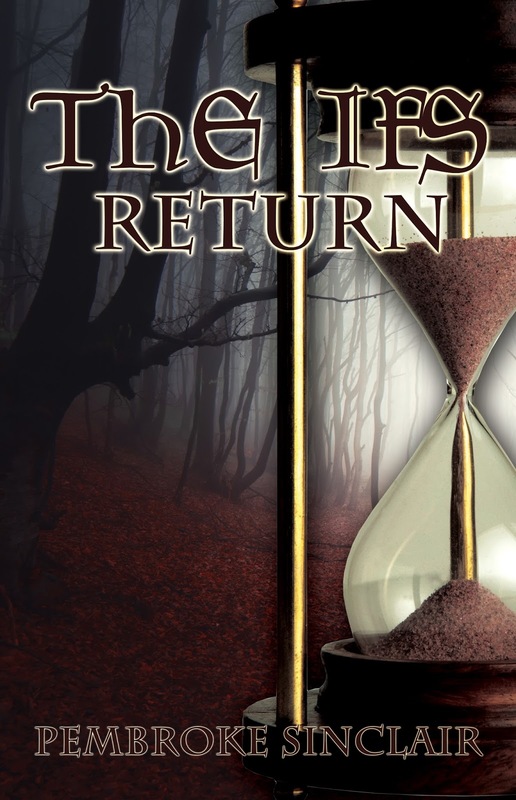 Sifting through the ashes of a vicious crime - and the secrets of the privileged - Angela must use her forensic skills to get to the truth, and prevent an innocent woman from being burned. 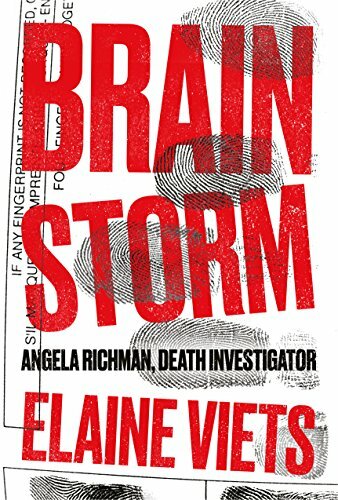 In book 1, Brain Storm, Viets relies on some of her experiences as a stroke survivor, giving her death investigator additional hurdles to climb as she investigates the death of the neurologist who misdiagnosed her condition--and the chief suspect is the surgeon who saved her life. 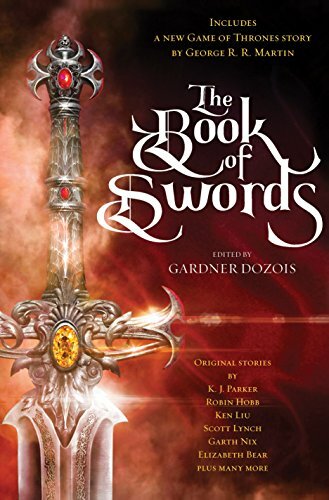 The perfect fantasy collection if you love daring swordsman, dark enchantment and warrior women facing danger and death. ** Includes a new George R.R. Martin Song of Fire and Ice story. New! 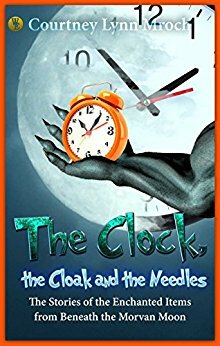 The Clock, The Cloak and the Needles: Stories of the Enchanted Items from Beneath the Morvan Moon, Courtney Mroch - A cloak that can transform man to beast, and the stores of other enchanted items are included in this set of magical stories based on the author's fantasy novel. Includes: The Clockmaker; Le Meneur, Des Loupes; Casting On, Binding Off. 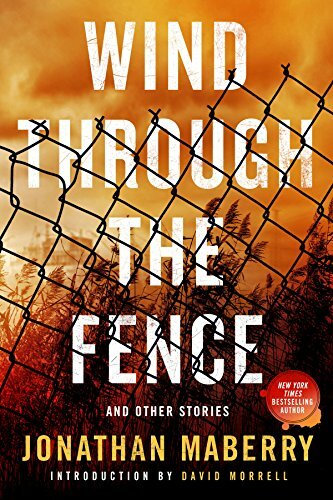 Wind Through the Fence, Jonathan Maberry - From serial killers and zombies, to magic and dragons, this collection contains stories that run the gamut of genres, sure to thrill Maberry fans and short story lovers alike. 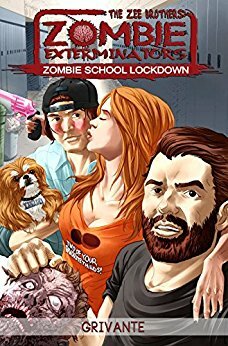 GIRL Z: My Life as a Teenage Zombie, C.A. Verstraete - What happens when you're 16 and turning part-zombie from an accidental scratch? Becca faces changes no teen wants to experience when her cousin comes home with a deadly surprise. 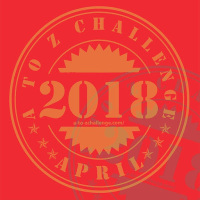 Today in History: Lizzie Borden Trial 125th Anniversary! The Lizzie Borden Trial Begins! This was a momentous month for the infamous Lizzie Borden. 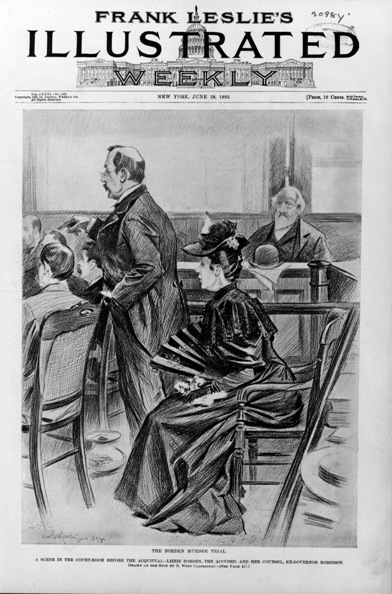 It was on this day in 1893 that the "trial of the 19th century" began. On June 5, 1893, crowds packed the circuit court in New Bedford, Massachusetts to not only get a glimpse of the accused axe murderer, Lizzie Borden, but to hear the details of one of the most shocking cases to occur in Fall River, Mass. history. 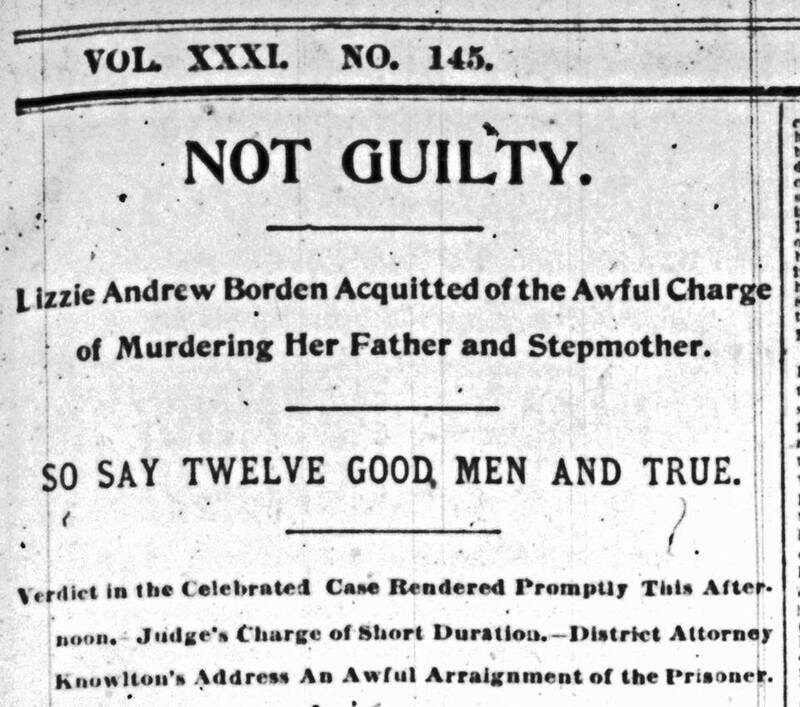 The news of the trial, in which the spinster-daughter Lizzie Borden was accused of the vicious murders of her father, Andrew, and stepmother, Abby Durfee Borden on August 4, 1892, spread across the country. The trial was reported on by newspapers here and abroad. Here's a glimpse of the front page of the June 9, 1893 Friday evening Daily Herald from Texas: (You can read the full copy here in PDF.) * See more newspapers here. As a writer, it's a case I always found fascinating. No matter how you view Lizzie, you still have to wonder how and why she (or anyone) could do such a thing. You only have to look at the crime scene photos to understand. Warning: garish photos. The autopsy reports are just as graphic. It was a truly horrific murder and a horrorific story. To me, the photos and reports provided a reason for why she would do such a thing--she had no other choice. I built my novel, Lizzie Borden, Zombie Hunter, around the real life events, the trial, and the aftermath of her life. I used actual trial transcripts and information to provide a framework for the story and provide a plausible reason this could have happened. Once you look at the photos and read the reports, you'll see that it makes perfect sense in the horror realm. (Get in print - B&N - or Print & Kindle or Kindle Unlimited) - See more reviews and information on my website.